The 2019 Tour de France will see an intriguing convergence of Chris Froome and Geraint Thomas's ambitions. But they won't race together before July. Chris Froome and Geraint Thomas might be Sky teammates, but they won’t be racing together until the Tour de France this summer. The two yellow jersey winners are taking different roads back to the Tour. 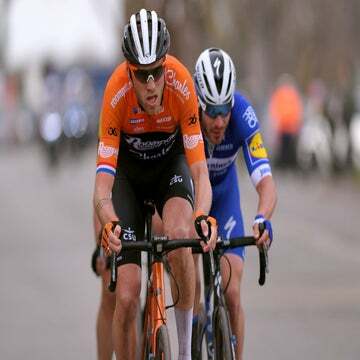 According to their tentative schedules, neither are expected to line up in the same race until they reach Belgium for the start of the Tour de France in July. A sign of a growing split inside the ranks of Team Sky? 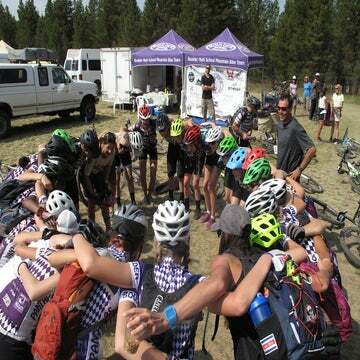 Or simply a way spreading the wealth among a talent-loaded roster as the team searches for a new sponsor? Perhaps it’s a little of both. Thomas, who is making his season debut this week at the Volta a la Valenciana in Spain, has made it no secret that he is setting a high bar for July. If there’s going to be collision course this July between Thomas and Froome, Team Sky is intent on at least keeping them on neutral ground until then. Thomas’s rough outline for his season — which opened this week in Valencia in Spain — includes racing at Tirreno-Adriatico (with a possible tilt at Strade Bianche) and the Tour of the Basque Country before a full charge at the spring classics, with Amstel Gold Race and Liège-Bastogne-Liège on the docket as his top spring goals. Thomas is also penciled in to race the Tour de Suisse ahead of the Tour, with a possible start at the Tour de Romandie. Four-time Tour winner Froome, meanwhile, takes a very different road to France. After foregoing a defense of the Giro’s pink jersey, Froome debuts his season at the Colombia 2.1 race next week, then heads to the UAE Tour at the end of February. Froome has also confirmed he will race the both the Volta a Catalunya in March and Tour de Yorkshire ahead of a traditional tune-up at the Critérium du Dauphiné in June. Team Sky officials said their respective schedules could change, but they confirmed Thursday the duo is not likely to race together until the Tour de France in July. Just how often do Thomas and Froome race together? 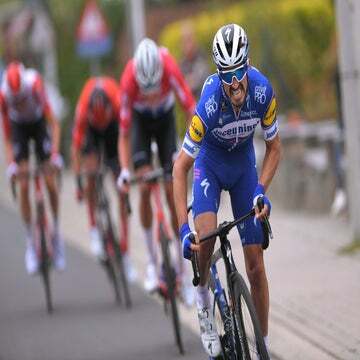 Not that often, but what’s dramatically different in 2019 is that Thomas returns to the Tour as defending champion with much higher personal ambitions. The stakes are even higher with the possibility of Team Sky closing if a new sponsor cannot be found to keep the team together. Although there are suggestions that prospects are looking good, riders will start racing for their own results and searching out new contracts if something is not in place by June. Looking back over the past half decade, Froome and Thomas usually have raced together at least once each season before the start of the Tour. Even in 2017 and 2018, when Thomas and then Froome respectively took aim at the Giro d’Italia, they at least coincided in one race — at the Volta a Catalunya in 2017 and Tirreno-Adriatico in 2018 — before the Tour. They have usually raced together in the spring. Over the past several years, Thomas has targeted the Tour de Suisse while Froome prefers the Dauphiné. They last coincided at the Dauphiné in 2013 and 2014 just as Froome was emerging as a Tour dominator. In 2016, a year when neither targeted the Giro, the pair’s schedules overlapped at Catalunya and the Tour de Romandie. Froome and Thomas say they get along well, so it’s unlikely that there is a growing rift between the two riders. And it’s also possible they will see each other at team training camps throughout the season. With team backer Sky pulling up stakes at the end of 2019, it’s only natural that team brass wants to spread the wealth with the team’s future on the line. Each rider is capable of winning one-week stage races as well as grand tours, so management wants to have as many chances as possible to wave the Team Sky banner in front of would-be sponsors. And it’s not uncommon for teams with multiple leaders to spread around their talent in order to achieve maximum return. Mitchelton-Scott, for example, rarely has the Yates twins and Esteban Chaves all racing in the same races. The now-shuttered BMC Racing team regularly split the stage-race calendar between Richie Porte and Tejay van Garderen to give both riders a chance for wins early in the season. Team Sky also has to consider the ambitions of budding star Egan Bernal, who is expected to take a full run at the Giro d’Italia in a leadership role in May. Thomas confirmed this week he will not race the Giro. Instead, he will focus on reaching the Tour in top shape. It will be interesting to watch how Team Sky handles leadership questions during the Tour. The pair’s split racing calendar hints that the team doesn’t want any ruffled feathers before July. Thomas revealed as part of his new book outlining the 2018 Tour that he sometimes felt that the team did not fully believe in his chances. Froome, meanwhile, isn’t hiding his ambitions about winning what would be an historic fifth yellow jersey. Two riders with the same ambitions. It’s obvious that Team Sky wants to give its superstars plenty of chances to spread their wings before the Tour arrives. It’s also apparent that they don’t want their two captains inside the same team bus at least until Brussels.